HAZARD, KY -- ?Today, U.S. Rep. Harold "Hal" Rogers (KY-05) joined Operation UNITE at the Perry County Public Library in Hazard, Kentucky to commend Kentucky River Properties, LLC for donating $100,000 to help pay for substance abuse treatment vouchers for low-income individuals living in Perry, Knott, Leslie and Letcher Counties who otherwise couldn't afford treatment. The funding also supports local Drug Court programs. "Our friends at Kentucky River Properties decided to pioneer a bold new avenue to change the lives of their co-workers, employees, families, friends and neighbors," said Rogers. "Today, five people will be taken off of treatment facility waiting waiting lists and five families will begin to transform. By the end of the year, some 20 people could be completing a recovery program, thanks to this donation." The gift is the fifth donation of the half million dollars pledged to the UNITE Foundation by Kentucky River Properties five years ago. "We are pleased to offer this donation to continue the great work of UNITE and help change the lives of people in our region," said Fred Parker, President of Kentucky River Properties, LLC. "At UNITE, we are encouraged through partnerships with companies like Kentucky River Properties, who not only talk about the need for change, but take incredible action to give hope to the people of this region," said Dan Smoot, President of Operation UNITE. A graduate of the Leslie County Drug Court Program, Gary Douglas now works for the program, helping others on the road to recovery who will benefit from the donation. "I have a real appreciation for what UNITE and the Drug Courts have done in Kentucky, because I know what it's like to live in that misery and how hard it is to get out of it," said Douglas. "Without those programs, I would likely not even be here to talk to you today." Representing the Administrative Office of the Courts, Connie Payne, who also serves on the Operation UNITE Board of Directors said the funding offers unique support that Drug Court programs in other parts of the state are unable to provide. "We couldn't put clothes on their backs or help them get the school supplies they need without this support," said Payne. "You have helped us remove many barriers for people in our programs." Rogers also honored the Chief Circuit Judge for Perry County, the Honorable Bill Engle who started the Perry County Adult Drug Court Program in 2005. 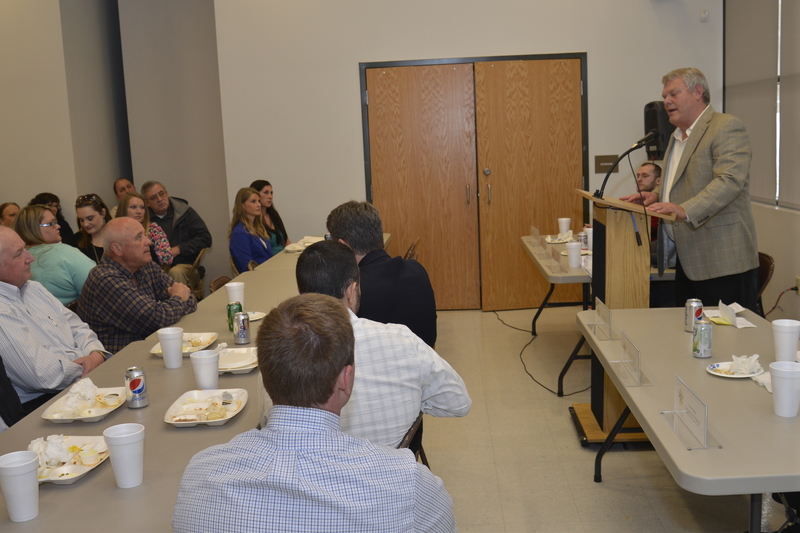 Since then, some 60 graduates have successfully completed the program in Perry County. 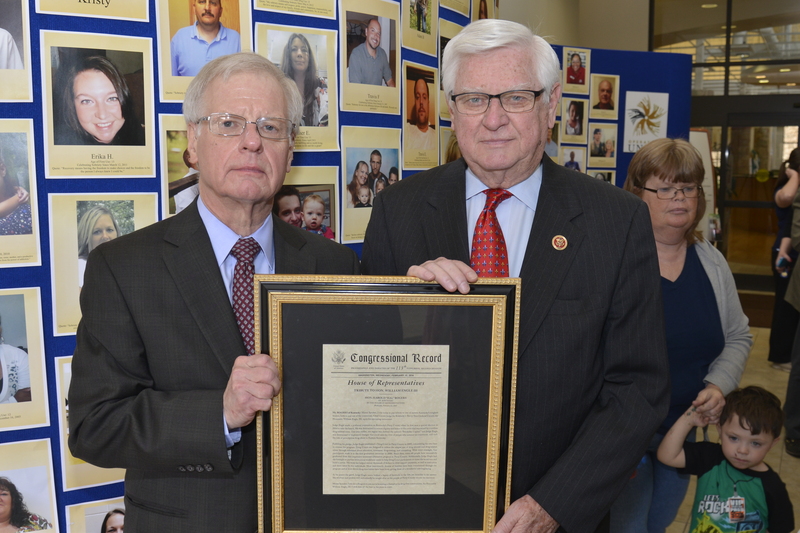 Engle recently announced his retirement and Rogers presented him with a Congressional Tribute that has been recorded in the U.S. Congressional Record to commemorate the impact he has made in the Kentucky River area. "Judge Bill Engle has been a champion for Drug Courts and curbing this horrible tide of prescription drug abuse plaguing our region," said Rogers. "He has undoubtedly transformed the lives of thousands of people in eastern Kentucky."